The Turner Report: 10.29.10: Barry on the Daily Show, Gettin' Physical on the Trail, and Halloween-palooza! 10.29.10: Barry on the Daily Show, Gettin' Physical on the Trail, and Halloween-palooza! It's finally here! The Rally to Restore Sanity and/or Fear, Halloween AND Election Day! We hope you brought your Red Bulls with you today, because you'll need some stamina to get through all of this alive. Queenie is tossing the TR Reigns over to the Royal Executioner today, as she has one more major event to worry about: acting as Maid of Honor in her big sister's wedding on Sunday! (Congratulations, Kellie!) So relax, folks -- you're in some extremely capable hands. 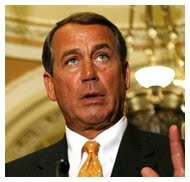 Nope'r John Boehner says he won't compromise after the new Congress is sworn in. Kudos for not being part of a "broken system," John! The GOP's got a new plan to enthrall Tea Partiers: tax cuts, more tax cuts, and bigger deficits! And Democrats may punt the fun to January. By then, Durbin or Schumer may be leading the Dems. The jury has been selected for Tom DeLay's money-laundering trial. Opening arguments will begin Monday. We'll be sure to keep track of any developments, because, you know, it's Texas. Is Rudy laying the ground work for yet another run at the White House? Let the noun, verb, and 9/11 jokes begin again...(thanks, Joe). system. His informants were really federal agents. Metro says it won't be enhancing security. Never hurts to be on the safe side. 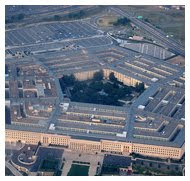 Authorities have also linked the recent Pentagon shooting with one that occurred at the Marine Corps Museum. It appears that the majority of service members that took the Pentagon's DADT survey a few months back aren't opposed to serving with openly gay soldiers. But the path forward for the policy's repeal is a bit precarious, at best. We can bet the GOP won't be willing to take it up. Can you believe we're only four days out? We're bringing you the last batch of "crazy" before the big day. First, The WaPo says the terrifying Tea Partiers aren't a big deal--that they contribute little to the political discourse. We sure hope so, but then again, what's gotten Bubba so "disturbed and ticked off"? Maybe, it's because he couldn't charm Kendrick Meek out of the Florida senate race. Meek has a different story. Also, fair and balanced FOX "News" is helping get out the vote... for non-Democratic candidates. It's voter fraud, we tell you! Some Democrats are still trying to figure out that teabagging strategy. One Democratic candidate found out that telling your president to "shove it" is a terrible idea. Out in Nevada, Sharron must be talking tactics with super-spy Christine as she dodges the media up until Election Day. She's also got ANOTHER ad out that's not too friendly toward Latinos, and that's got Joy Behar raging. Christine threatened to "crush" a radio show because of some pretty violent finger-snapping footage. Anyways, things got pretty ugly at a Kentucky senatorial debate and a campaign staffer in Florida learned a hard lesson about texting the candidate during a debate. Meanwhile, Sarah talked up more presidential ambition on that intellectually stimulating news show, Entertainment Tonight. Finally, Meg's numbers aren't looking too good after throwing more than $160 million out the window. Federal authorities gave the all-clear signal to two East Coast airports after a security scare involving a UK flight. Wells Fargo admitted to some paperwork trouble as other banks continue to working to correct errors in their paperwork. A new report says metro areas continue to see greater numbers of foreclosures due to unemployment and bad loans. But don't blame big corporations for this! The birthers came to town... sort of. Next time, they should contact Jon Stewart and Stephen Colbert's peeps to borrow a few rally-goers. aide to the late Saddam Hussein to death. 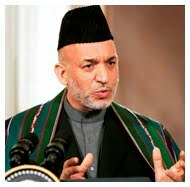 And we're also intrigued about a story of cash flowing into Afghanistan President Hamid Karzai's office. Will this end come 2014? Iran began loading fuel rods into its Russian-built nuclear reactor, (for civilian use, right)? You can read more about Iran's political culture here. And finally, we don't quite understand how Iran could be a force to promote gender quality. More than three hundred have died from a cholera outbreak in Haiti. The first cases showed up more than a week ago. Haiti is in our thoughts. Charlie Sheen is back to his normal work life. Hah! Great work, PR peeps. 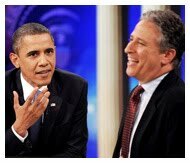 Barry went on the Daily Show to entertain Jon Stewart, but more importantly, get you young people to the voting booth. Can the White House be an effective communicator, like now? Some folks, conservatives, mainly, were upset over Jon's "dude" address. Dude, chill out. The President spoke on difficult issues and Jon wasn't there just to joke around. Catch it here if you missed it the first time. Biebs has his own fragrance now, as well as a new film--tweens go crazy! Bert and Ernie swear they're just friends, and that's just fine with us. Keep being inclusive, Sesame Street, and don't let Bill O bully you. Avatar fans can look forward to two sequels in 2014 and 2015. Until then, keep watching the first one, over and over again. The White House press office makes another spelling mistake -- this time, it's of the First Lady. Hey! The RGA has another scawy ad out. Fear has come, indeed. 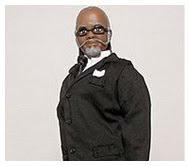 Get your Rent Is Too Damn High doll today! People aren't the only ones dressing up for Halloween. The most famous octopus that has ever graced the planet has passed away. Paul correctly chose the winner of every game at the 2010 World Cup. NASA wants to send you on a one-way trip to Mars. Any takers? An Arkansas school board member is calling it quits after posting some nasty anti-gay comments on Facebook. Good riddance. A Brazilian judge is ordering the Golden Arches to pay up because an employee became obese from "taste testing" product. Oh, dear. McDonald's will likely appeal. Lots and lots and lots of people are expected to attend the Rally to Restore Sanity tomorrow. Will you be there? If you're bringing signs, please set an example for the Teabaggers, and use spell-check. Also, don't listen to the haters, and please, please stay out of trouble. Speaking of dogs and costumes: If you own a dog, and aren't embarrassed to dress him or her up, there's a costume party on 18th Street. Be sure your dog is happy! 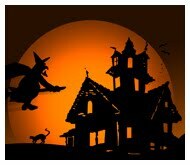 Wonkette has some recommendations for the Halloween weekend for you DC'ers, especially if you're dressed as that special witch lady. Maybe you're not that Halloween kind of person? Some beer taste testing may be up your alley, or maybe a visit to the Howard University Yardfest. Republicans are measuring the drapes for a 60-seat slaughter in the House. Will the rules permit victorious Tea Partiers to hang tea bags outside their offices? 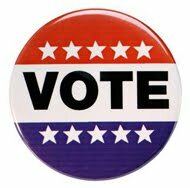 Get out there and vote, progressives! See you all at the rally or maybe at some Halloween outing!